Cheltenham lies beneath Cleeve Hill, the highest point in the Cotswolds and above the vale of the River Severn. It is known as 'The Western Gateway to the Cotswolds'. The village of Broadway being known as 'The Northern Gateway to the Cotswolds'. This edge-of-the Cotswolds spa town is hard to beat for refined elegance and Regency terraces, annual festivals, Ladies' College and racecourse. Also fortnightly farmers markets, classy shops and restaurants all surrounded by glorious countryside. 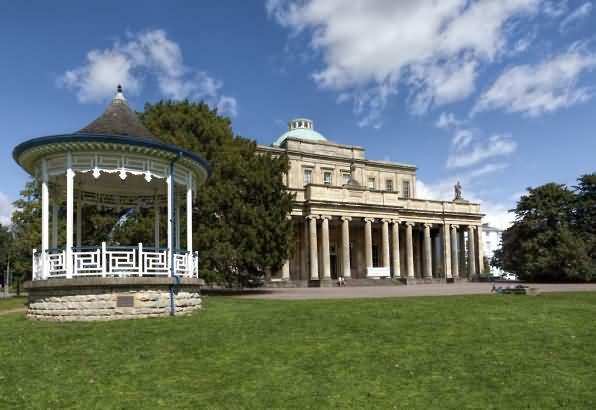 Cheltenham was selected by The Sunday Times newspaper (March 2014) as one of the best places to live in Britain. 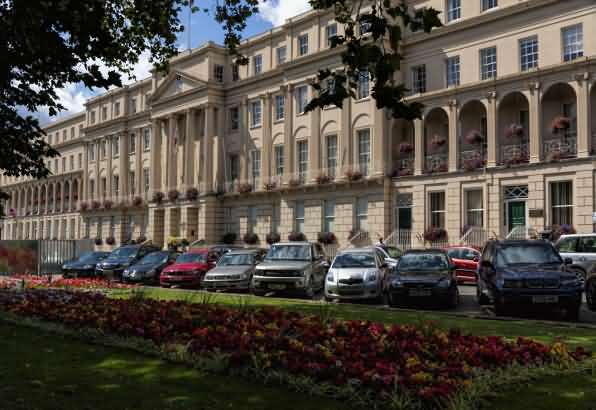 From humble beginnings as a modest market town, Cheltenham became one of the most fashionable health resorts in the country. In 1716, in a meadow outside the town, pigeons were found to be pecking at what turned out to be salt crystals at a spring which led to the establishment of the town as a Spa. 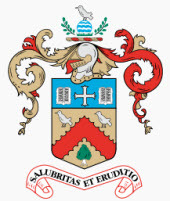 The importance of the pigeons leading to the discovery of the 'Spa Waters' is reflected in three pigeons being included in the Cheltenham Coat of Arms. King George III arrived to treat his infirmities in 1788, rows of Regency houses then appeared – and the town then known as "Cheltenham Spa" was born. Visitors can still sample the Spa Waters at the beautiful Pittville Pump Room. John Forbes was the architect and interestingly sentenced for fraud to transportation for life to Australia. The sentence was subsequently commuted to a few years in prison. The Promenade is considered to be one of the most beautiful thoroughfares in the country, with its tree lined avenue flanked by smart shops and cafés. The composer Gustav Holst was born at 4 Clarence Road in 1874 and his childhood home is now the Holst Birthplace Museum where you can see the piano on which he composed The Planets. The Antarctic explorer Edward Wilson was born Cheltenham in 1872. The Regency town of Cheltenham is where Zara Phillips (Queen's eldest granddaughter) and husband Mike Tindall have their home (see Royalty in the Cotswolds). Visitors from all round the world flock to Cheltenham for the International Festival of Literature and Music, and the town is the western gateway to the Cotswolds. Cheltenham, on the edge of the Cotswolds, is an inland spa resort of handsome Regency architecture, broad avenues and fine parks. 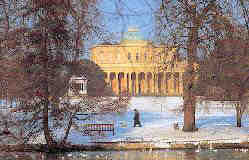 The medicinal waters can be taken at several sites in the town but mainly at the Pittville Pump Room whose blue dome rises above the lakes of Pittville Park. You can still drink from its original pump, and it is England's only source of natural alkaline water. The principal street of Cheltenham is the Promenade with its fine regency terraces and Neptune Fountain. Montpellier is where Cheltenham's elite reside. Here, small boutiques jostle for space with wine bars and restaurants such as Brasserie Blanc, Raymond Blanc's informal spin-off of Le Manoir at Oxford. 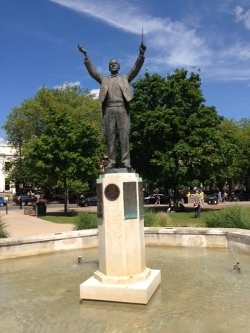 The centrepiece is the Montpellier Gardens, blooming with flowers and containing a fountain surmounted by a bespectacled Gustav Holst, who was born in Cheltenham and now stands with his baton raised aloft above the water jets. Cheltenham is world famous for it's horse racing course at Prestbury Park and the main hurdles event being the Gold Cup National Hunt Festival week in March. 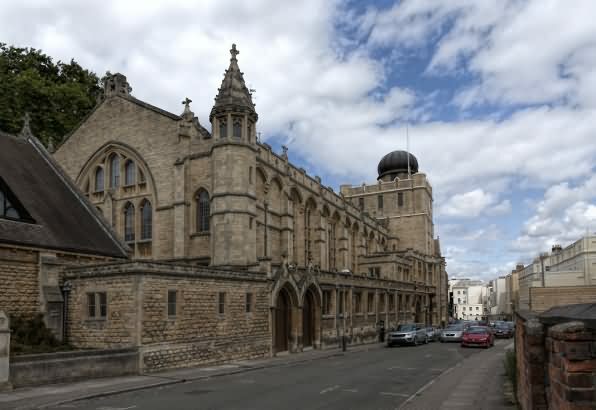 The town is home to the famous Cheltenham Ladies College known for its outstanding academic excellence. 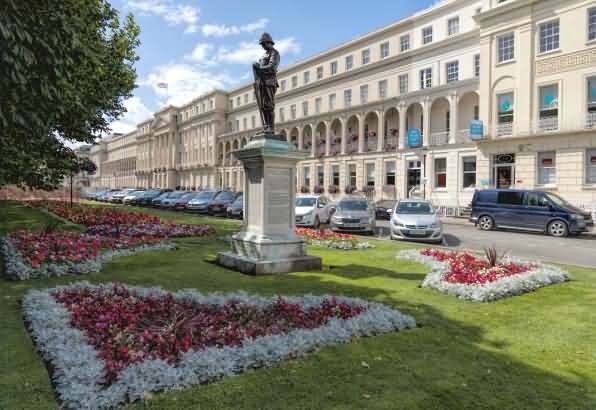 The Promenade in Cheltenham has been named as one of the top five best shopping streets in Britain in a poll for Google Street View. Over 20,000 people voted in May 2011 on a short list drawn up by a panel of judges of travel, shopping and lifestyle experts. 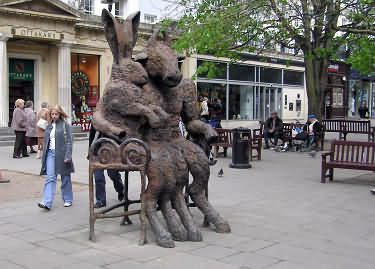 Sophie Ryder of Cirencester - completed in 1995 and went on display in 1997.
it a permanent fixture in the town centre. The story of a girl who falls down a hole and finds herself in a magical world is believed to be based on Alice Liddell, a girl who often visited her grandparents at their Charlton Kings (a suburb of Cheltenham) home. Her grandfather Dr Henry Liddell was Dean of Christ Church College in Oxford where he became a friend of Charles Lutwidge Dodgson – better known under his pen name Lewis Carroll. The author was a maths teacher at Oxford University Christ Church College and took Alice and her two sisters on a boat trip. To keep them amused he told a story about Alice and a white rabbit, later published as Alice’s Adventures in Wonderland in 1865. The Liddell’s lived in Hetton Lawn, Cudnall Street, Charlton Kings. The original mirror, or looking glass, is still there. Lewis Carroll was a regular visitor to the home, where Alice’s grandparents lived. There are at least three links between Alice Liddell and the protagonist in Lewis Carroll’s books. 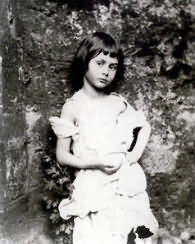 Carroll set the story on May 4, Alice Liddell’s birthday and in Through the Looking-Glass the fictional Alice declares that her age is “seven-and-a-half exactly“, the same as Liddell on that date. Carroll dedicated the book to Alice Pleasance Liddell. The poem at the end of Through the Looking-Glass, when read downward, spells out Alice Liddell’s full name. In 1985, Kit Williams designed the Wishing Fish Clock, a centrepiece of the Regent Arcade shopping centre in Cheltenham. Christopher 'Kit' Williams (born 28 April 1946 in Kent, England) is an English artist, illustrator and author best known for his 1979 children's book Masquerade, a pictorial storybook which contains clues to the location of a golden (18 carat) jewelled hare created by Williams and then buried "somewhere in Britain". Over 45 feet tall, the clock features a duck that lays a never-ending stream of golden eggs and includes a family of mice that are continually trying to evade a snake sitting on top of the clock. Hanging from the base of the clock is a large wooden fish that blows bubbles every half-hour. Catching one of these bubbles entitles you to make a wish, hence the name of the clock. Kit Williams is also responsible for designing the Dragonfly Puzzle Maze at Bourton-on-the-Water. Extreme endurance adventurer Sean Conway lives in Cheltenham and is the first and only man in history to swim the length of Britain in 2013 from Land’s End to John O’Groats across 900 miles. He has previously cycled the length of Britain (1300 miles) and plans to finish his Great British Triathlon in 2014 when he will run the length of Britain. Web: www.seanconway.com. BOTH MORNING , AFTERNOON AND NIGHT. St Mary's Church is very much in the heart of Cheltenham, its Steeple can be clearly seen from the area near the retail outlets of Boots and Littlewoods on the main shopping street. Although, as with many sites of Churches, origins go back further than the present church, in fact worship here dates back to the 8th Century, the present building has parts that date back to Norman times. The stained glass windows are superb and are of Victorian times. The rose Window is particularly attractive, there are many intesting memorials, one in particular is situated next to the Pulpit, this refers to Captain Skillicorne who developed Cheltenhams first Spa, the visit of King George III is recorded also on this tablet. Visitors will observe an American Flag on display, it was during World War 2 that many American servicemen worshiped here and many have returned to visit the church. Interestingly one of the worshipers was a General Robert E. Lee, he was a decendant of General Lee of the american civil war fame. In the Domesday book the name of Cheltenham is spelt "Chilteham" and "Ciltenham". 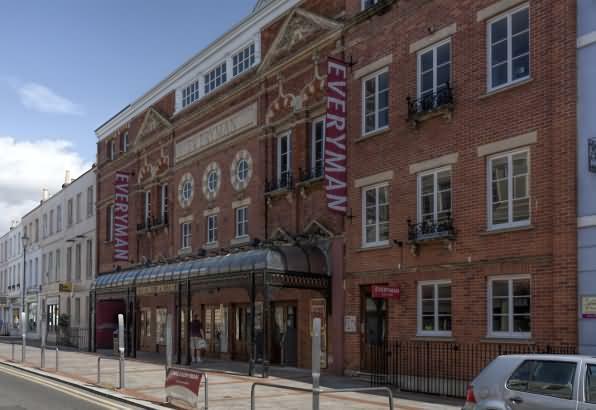 The popularity of these events has given rise to a new breed of trendy boutiques and restaurants making Cheltenham an excellent place for a weekend break at any time of the year. Cheltenham is a popular filming location. 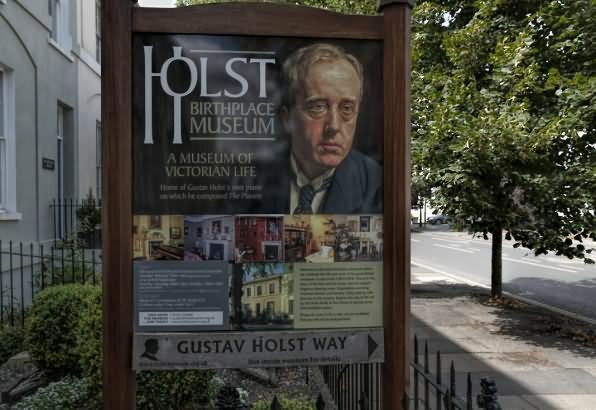 The composer Gustav Holst's birthplace on Clarence Road is now a museum in his dedication. The museum includes a working Victorian kitchen and laundry, an elegant Regency drawing room and a charming Edwardian nursery. Cheltenham offers a thriving town centre with a wide variety of shops to suite all tastes and pockets. In the Montpellier area of the town you will find luxury boutiques and pavement cafes and in the Suffolks area there are fascinating antique shops and top-class restaurants. Cheltenham is full of gardens and parks to take you away from the grind of working life. 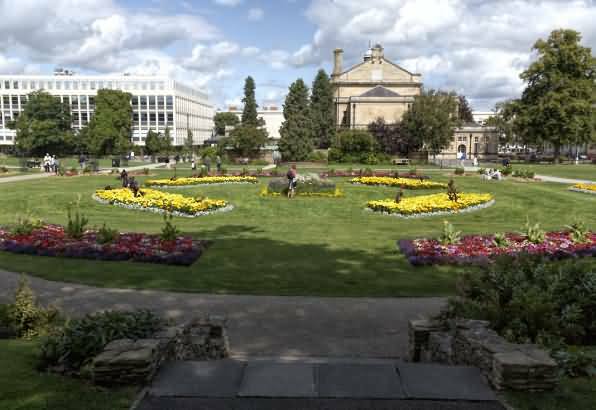 The town itself has been described as “a town within a park” and is so well known for its green and floral disposition that visitors flock just to see Cheltenham in bloom. 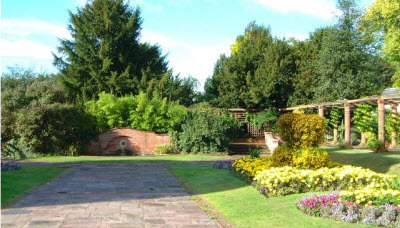 Don’t miss out on the often missed Sanford Park neatly tucked at the end of the high street, where you’ll find relaxing water features and hundreds of colourful flower beds. The town of Cheltenham celebrates the arts and sciences in full force from the beginning of May through to mid October. 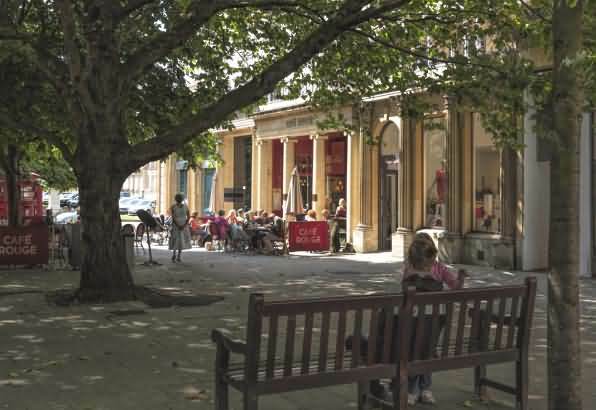 Start the Bank Holiday season with a Jazz Festival in the Montpellier Gardens before “questioning everything” at Cheltenham’s very own Science Festival. Here you can get interactive with the BBC Science Zone, talk fashion with Vivienne Westwood (deforestation, not shoes) or chat synthetic life with Guardian and Nature Magazine journalist, Dr Adam Rutherford. The Cheltenham music festival in July is your chance to chill out in the British summer heat (rain). This year’s festival saw Benedict Cumberbatch joining the festival crew in a WW1 piano and poetry reading, accompanied by wartime piano pieces. And that’s just for starters. 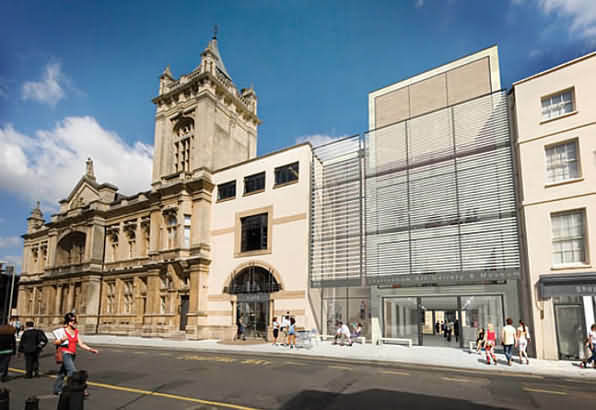 Next up is the Cheltenham Literary Festival, starting on October 5th in the town centre. JK Rowling is set to talk about her new adult novel, Michael Palin will be there to inspire wanderlust on his talk of Brazil and Sebastian Faulks will entertain the crowds with tales of his life, his words and his new books. It wouldn’t be a visit to Cheltenham without heading to the races for the day with a few plastic cups, a bottle of wine and a will to splurge some dosh on the best name thundering down the tracks. Of course, if you’re not one for the rabble, take your seat in the stands to get the best views and most accomplished company. There are also plenty of fine dining options at Cheltenham Racecourse – you’re sure to work up an appetite with all that betting, after all. Just four miles out of Cheltenham town centre, you’ll find the highest point in the Costwolds – Cleeve Hill, at 330 metres above sea level. The top offers spectacular views of the green and pleasant lands of the area and a perfect picnic spot after the long hike. This site is one of the UK’s SSSI (Site of Special Scientific Interest) and is the largest enclosed “wold” in the Cotswolds.